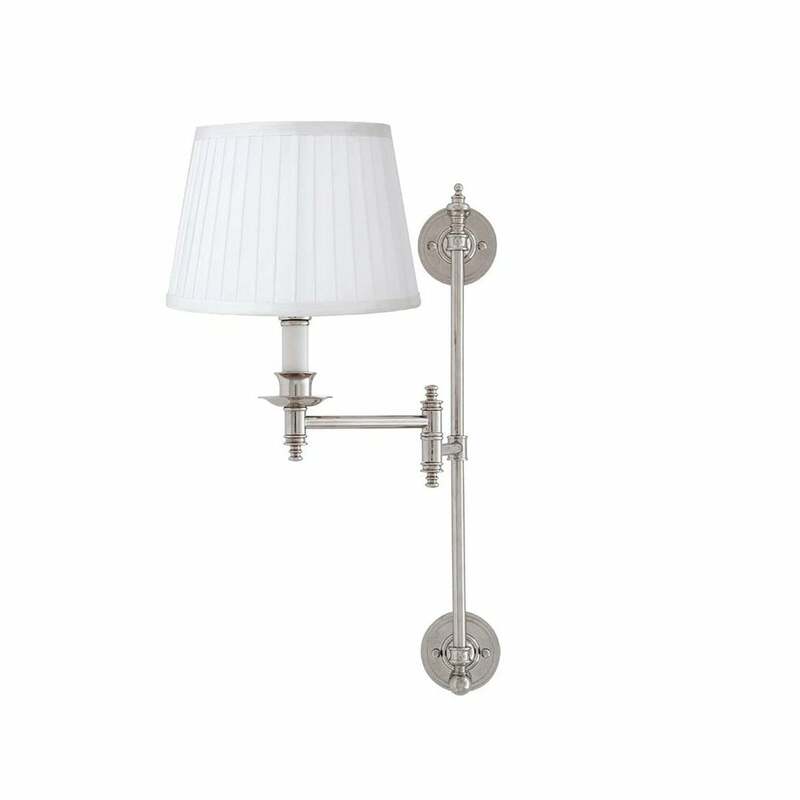 The Indigo Wall Lamp by Eichholtz features two round, wall mounted plates joined by a single beam. The elegant swing arm allows you to adjust and angle the light to diffuse ambience where you need it the most. Available in a choice of polished nickel or deep bronze, the Indigo Wall Lamp will bring boutique hotel style to your home interior. Inject vintage glamour into your bathroom suite by positioning either side of your bathroom mirror or position in a dimly lit hallway to illuminate the space. The Indigo Wall Lamp can also be used to highlight the architectural features in a period property. Elegant and timeless, Indigo will add a touch of luxury to your lighting scheme.